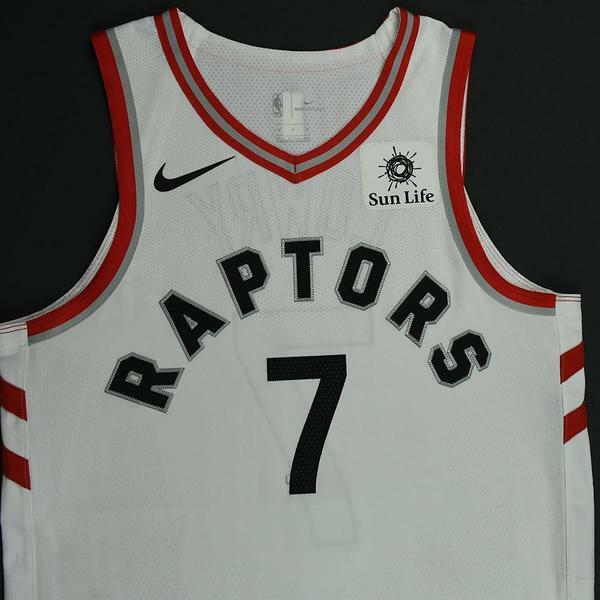 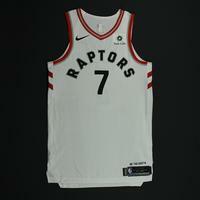 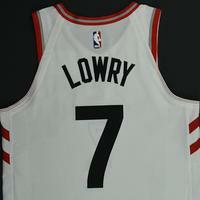 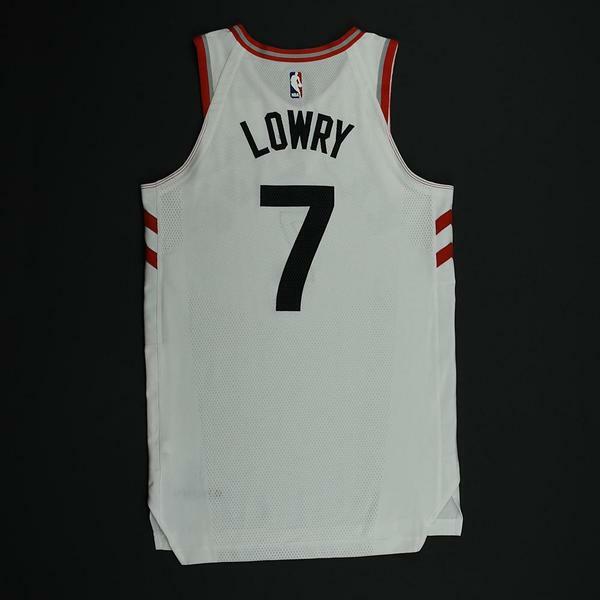 Lowry wore this jersey during the Raptors' 99-89 victory over the Portland Trail Blazers on October 30, 2017 at Moda Center in Portland, OR. He played 34 minutes and registered 19 points with 6 assists and 10 rebounds. 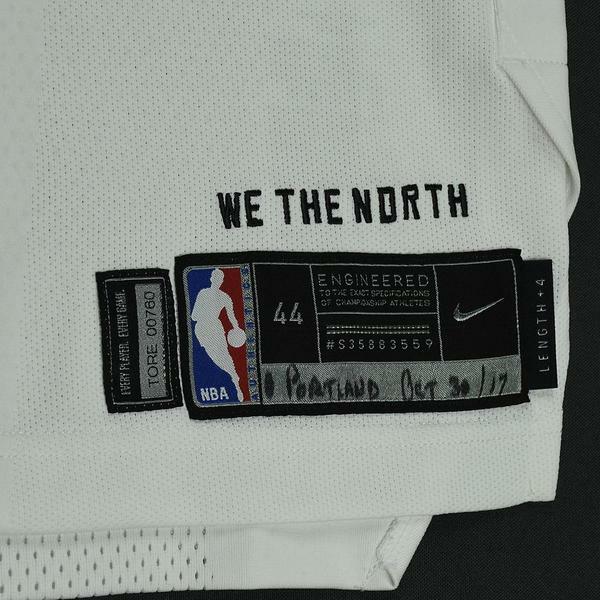 "PORTLAND OCT 30/17" has been handwritten on the jock tag.